Blindful is about evening out the playing field and creating an understanding between those who are sighted and those who are not. Dance should not be restricted by any physical boundaries, it is merely altered, changed and adapted. Can someone who is fully sighted move and dance as if they have never had their sight, and can someone who does not have their sight have the freedom and confidence as if they do. Those in the project are blindfolded and put through various tasks, games and experiences. 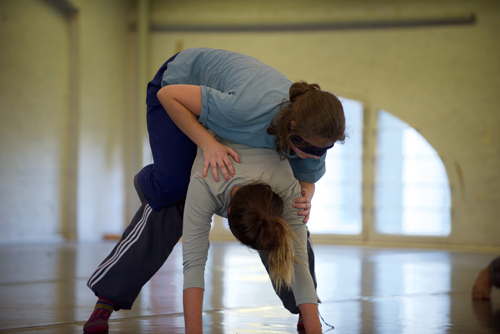 This is done to challenge their physicality, encourage them to use their other senses to orientate themselves in a room, rely on touch to learn choreography and verbal instructions. Basic skills like balance are challenged when sight is taken away, how fast can one move and throw themselves around the space when they haven’t got depth perception to rely on. It is possible to learn an entire phrase having never ever seen it and have it taught without a single word being uttered. This residency has solidified ideas that had previously been explored and allowed for time to put the ideas into a more final stage. This resulted in having a 20 minute piece to then continue working on. At the end of the residency what had been worked on during the week was shared with an audience and feedback was given. 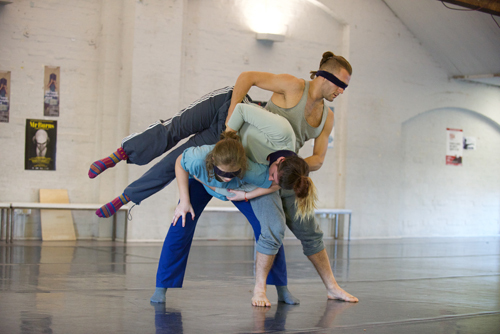 If it weren’t for this opportunity Blindful would not have matured into a piece ready to be performed and developed into a full length work. 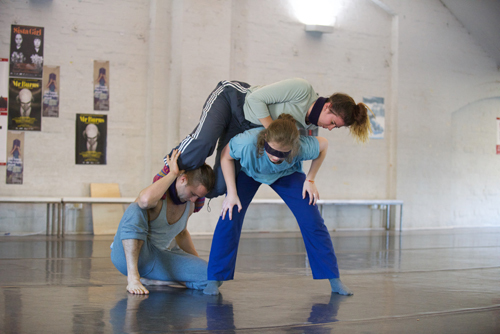 Having access to studio time to explore ideas and work with dancers to create a piece is invaluable. 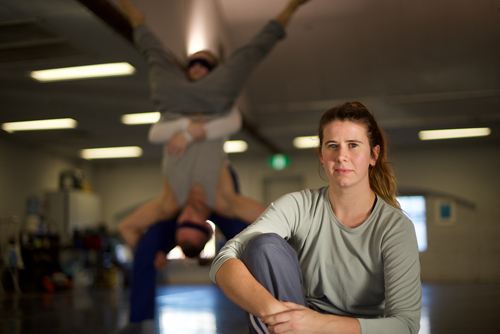 Abbie Madden trained at Gravity Dance Studios andthe Adelaide College of the Arts in their Bachelor of Dance Program. Whilst in Adelaide Abbie was also a member of the world renowned Australian Dance Theatre’s Youth Ensemble where she worked with Choreographers Larissa McGowan, along with current company dancers. Her core training is in contemporary dance but she has also trained in RAD Ballet, Jazz, Hip Hop, Tap, gymnastics and basic acrobatic and tumbling skills. After seeing award winning comedy dance theatre group ponydance perform in the 2013 Adelaide Fringe Abbie relocated to Belfast to fulﬁll her dream of working with them and is currently a company member. She has recently performed with them at British Dance Edition 2016 in Cardiff. Over the past year she has also had a focus on working in Music Videos for local musicians around Belfast. She is currently working on her own dance project Blindful which has recently had a research and development week funded by the Arts Council of Northern Ireland. Abbie is a versatile performer with experience in dance performance along with creative research and developments, ﬁlm, physical theatre and musical theatre.